Dead Island has plenty of zombies and we’ve seen and heard plenty about them, but what about those still living on the island? Well today Techland and Deep Silver decided to give us a little bit of information on one of the female playable characters for the title. 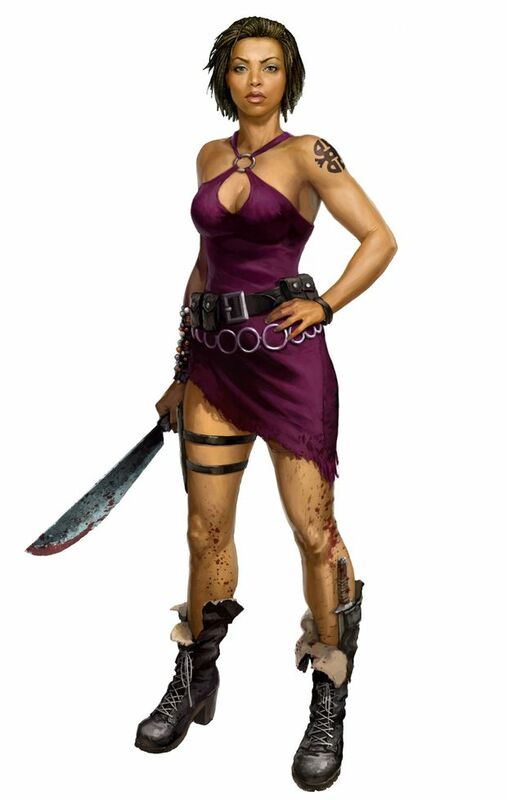 Her name is Purna and she carries a big knife as you can see in her official art below which shows that even in the face of a zombie apocalypse you can still look stylish. But there is much more to Purna than a pretty face. She was a former police officer at the Sydney Police department and she had lost her job after killing a child molester due to the fact that no one else could touch him due to his political connections. Afterwords Purna became a bodyguard, which means she knows plenty about dealing out death. Perhaps her background may just help her survive the zombie apocalypse, or should I say you will when Dead Island is released early next month. NEW SPLOSION MAN PRIZES & Much More ! !